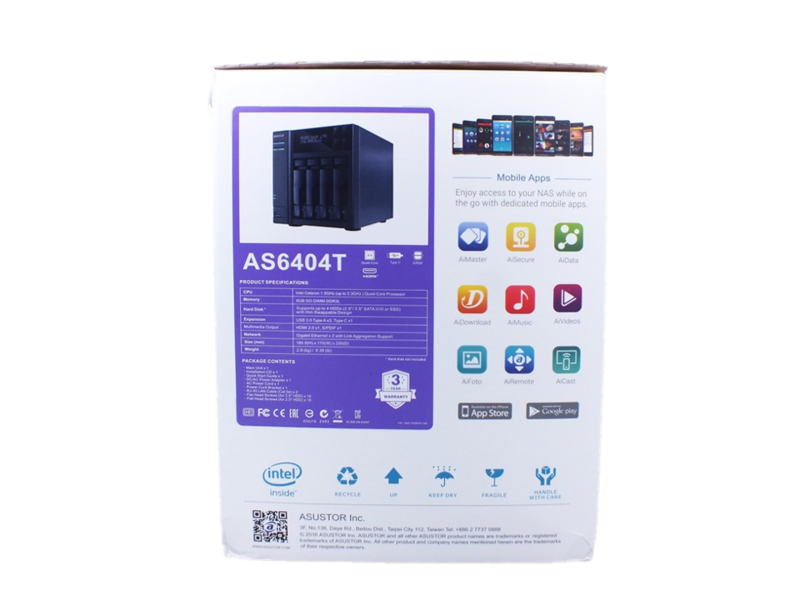 This is for sure the AS6404T will not going to demean the hope of any NAS user because of data storage capability, easy to use features and a huge list of apps. Also, by providing a relatively strong hardware configuration and good support for 4K video, the AS6404T could be a Sisyphean task for its NAS competitors. Asustor, a storage brand emerged with a coalition of two words “ASUS” and “Storage”. The company offers a wide range of NAS products including surveillance products and other services. In this world of Big Data, NAS boxes are boon for small to medium businesses because of portability, low power consumption, huge content storage capacity, PC like performance and customized operating system with lots of Apps and settings. The Synology and Asustor are examples of this. 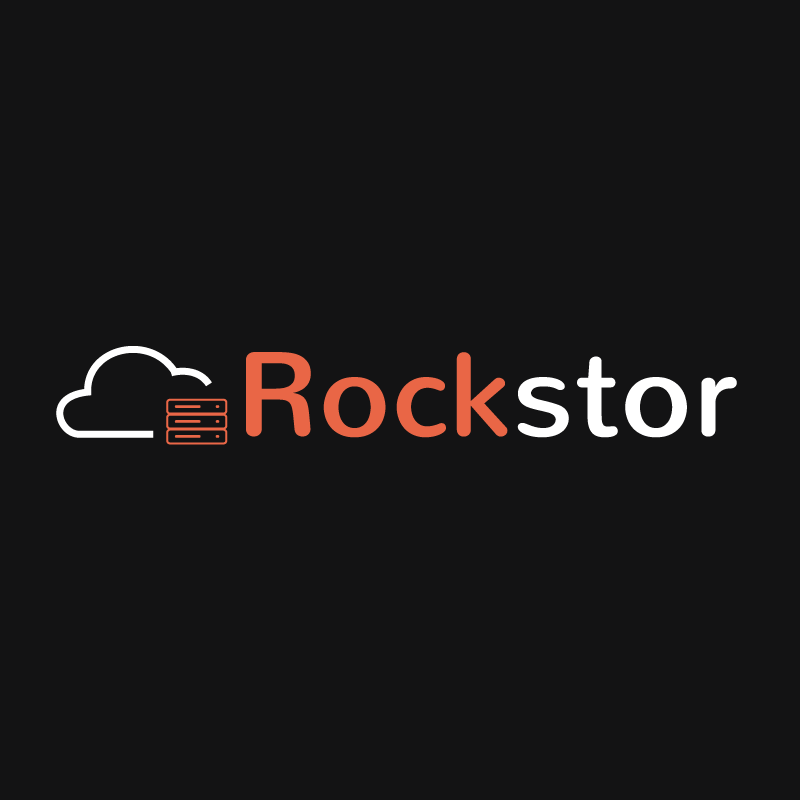 However, in this review, we are going to know about Asustor AS6404T meant for businesses to professional users such as graphics designers, multimedia enthusiasts those create lots of data on daily basis. 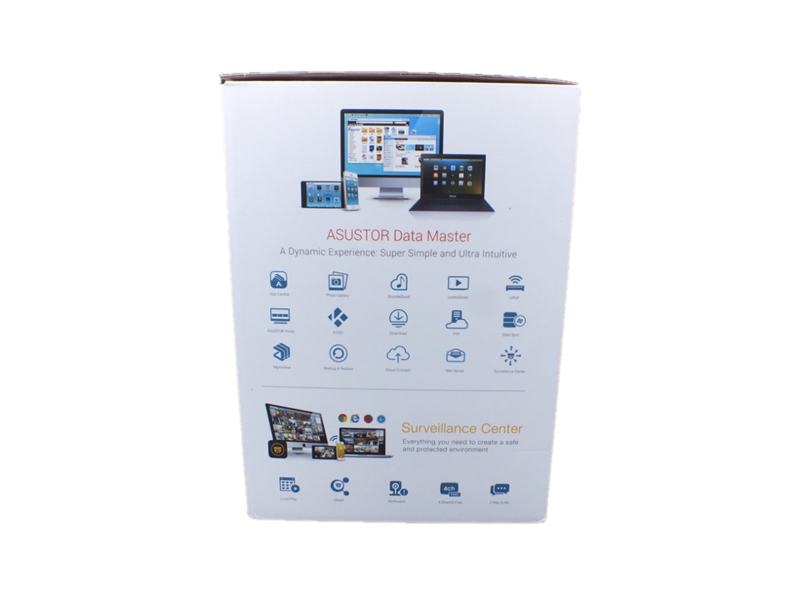 The Asustor AS6404T has an HDMI interface and is a hybrid player NAS capable of playing high-definition videos. It is a really going to be something unique because we can use an HDMI display directly to NAS box to operate NAS and different apps like Netflix and VirtualBox installed over it. 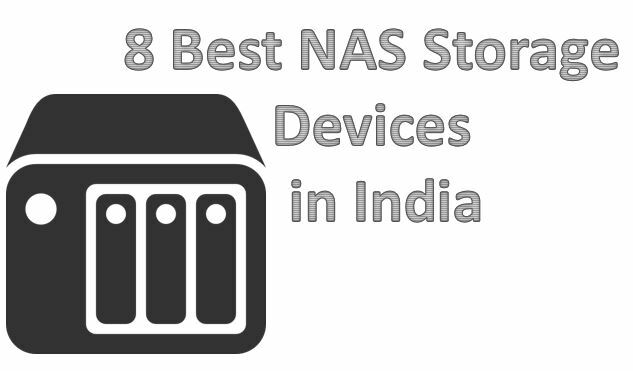 I already have reviewed a couple of NAS products including few open sources NAS distros. 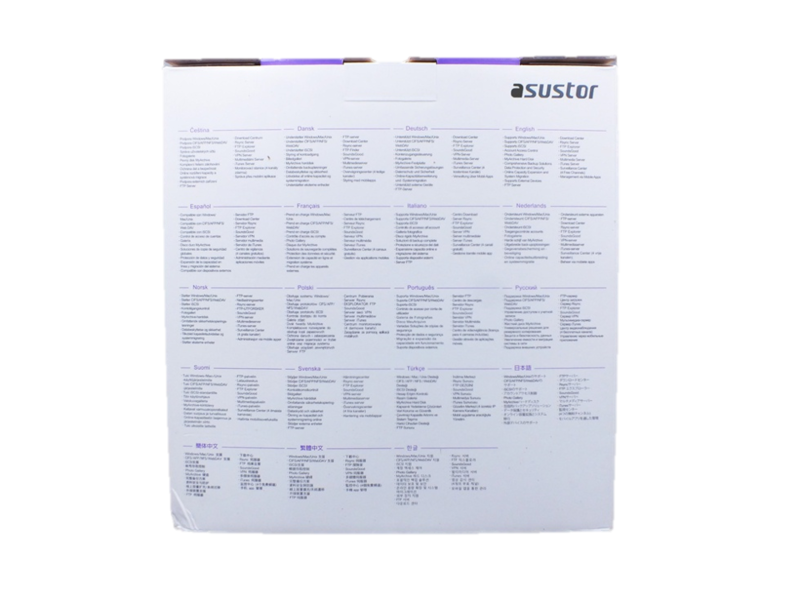 Now, its time to debunk all the hidden features, pros and cons including a glimpse of Asustor AS6404T. 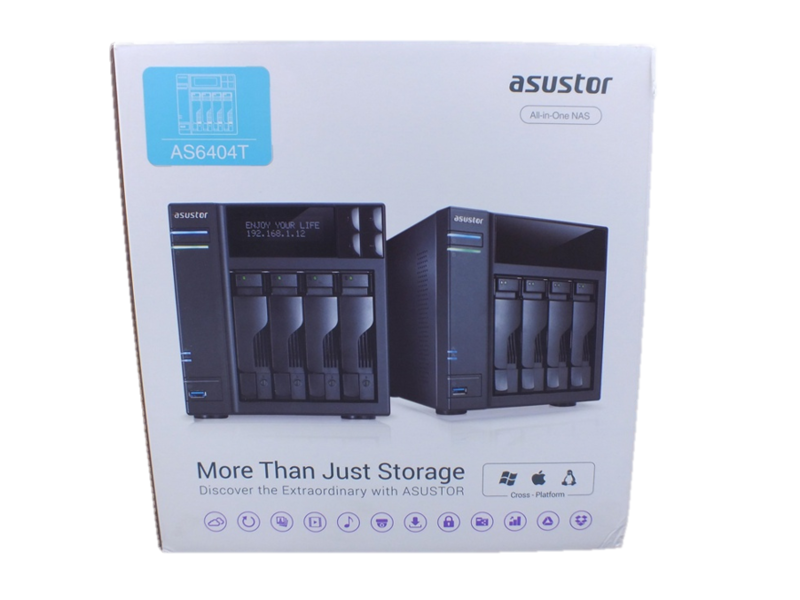 Asustor NAS AS6404T uses Intel’s J3455 processor of 1.5GHz processor that can go up to 2.3GHz, 14nm architecture, built-in graphics support HEVC and hard decoding, 2 * 4GB (DDR3) memory, HDMI 2.0 interface, and support for the 56TB hard drives are also there. 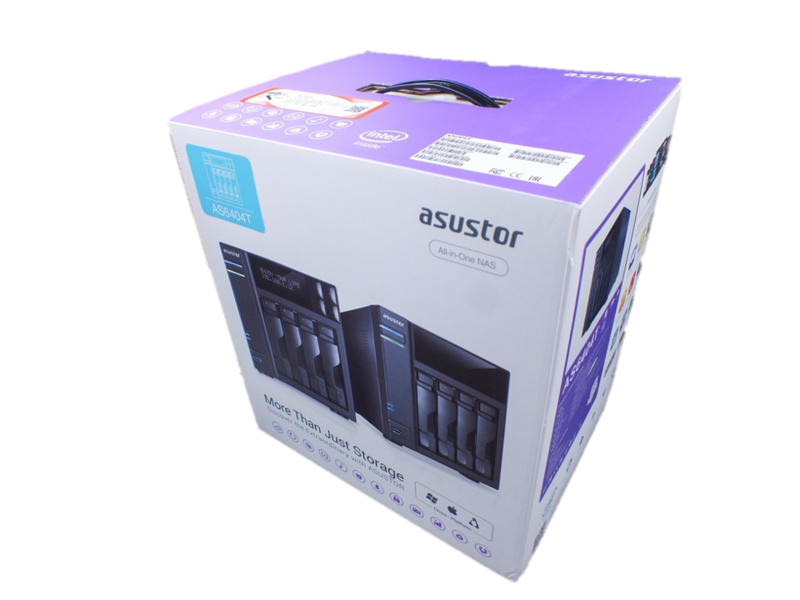 The AS6404T is available in a clean, crisp white with purple and blue packaging. All English introductions and logos, internationally versatile packaging with a plastic handle to carry the NAS. While on the right side of the BOX, one will find about the hardware configuration and supported apps, including AiData, AiVideos, AiMaster, AiMusic, AiRemote, AiFoto, AiDownload, AiSecure, etc. It seems like all the day to day fun to productive apps are comprised in one machine. At the behind of the box, full of different language to give the introduction of the product. 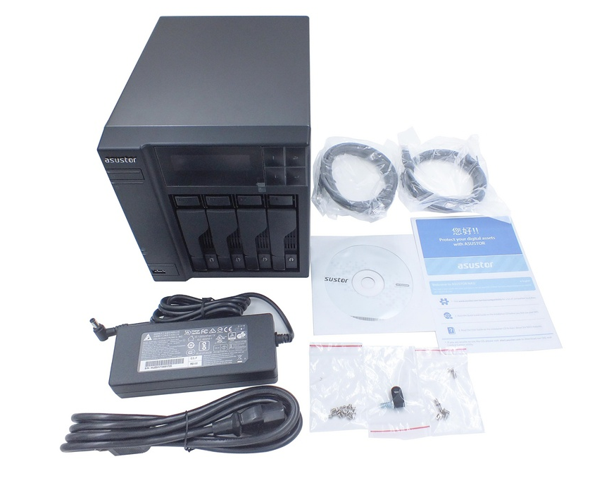 AS6404T NAS Box comes with accessories those are: AS6404T NAS unit, Adapter, power cord (general interface), two (Cat 5e) network cable, simple instructions booklet, an installation CD that has few Asustor’s programs like Control Center helps in finding the NAS on the network; 3.5-inch hard drive mounting screws and One pouch of 2.5-inch hard disk mounting screws.